We are just beginning to explore the world of home canning. We have invested in a good pressure cooker and lots of mason jars. We are taking classes and learning how to safely and correctly home-can our fresh fruits and vegetables from our garden, plus learn to make other delicious food-stuffs like stews, pesto, spaghetti sauces, and jellies. 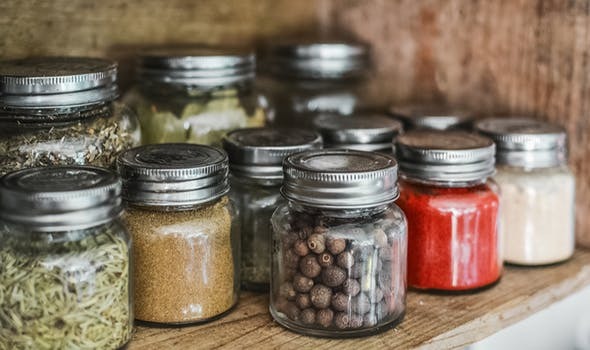 Canning is a method of preserving food in which the food is processed and sealed in an airtight container, providing a typical shelf life ranging from 1 year to 5 years and under specific circumstances a freeze dried canned product can last as long as 30 years and can still be safely consumed. The process was first developed as a French military discovery by Nicolas Appert in 1810. The packaging prevents microorganisms from entering and proliferating inside. To prevent the food from being spoiled before and during containment, quite a number of methods are used: pasteurization, boiling (and other applications of high temperature over a period of time), refrigeration, freezing, drying, vacuum treatment, antimicrobial agents that are natural to the recipe of the foods being preserved, a sufficient dose of ionizing radiation, submersion in a strong saline solution, acid, base, osmotically extreme (for example very sugary) or other microbe-challenging environments. Other than sterilization, no method is perfectly dependable as a preservative. For example, the microorganism Clostridium botulinum (which causes botulism), can only be eliminated at temperatures above the boiling point. From a public safety point of view, foods with low acidity (a pH more than 4.6) need sterilization under high temperature (116-130 °C). To achieve temperatures above the boiling point requires the use of a pressure canner. Foods that must be pressure canned include most vegetables, meats, seafood, poultry, and dairy products. The only foods that may be safely canned in an ordinary boiling water bath are highly acidic ones with a pH below 4.6, such as fruits, pickled vegetables, or other foods to which acidic additives have been added. Here at White Mountains Ranch we will be using heat & pressure sterilization, salting and sugaring in our recipes. We also take custom requests! Please see our STORE page for items available and pricing, and come back often to visit us in our journey!